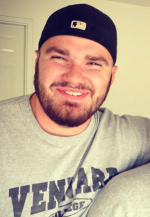 leader who wants to truly impact their community in a meaningful, Spirit-led way. Sometimes we lose perspective and Pastor Andy Stanley drives people to regain their perspective and stop looking beyond those who are at your doorstep. He makes the case that we (the Church) should stop saying we're doing the work of Jesus and just get to work. Good reminded for any person who calls themselves a Christian. I love me some good satire, that is for sure. 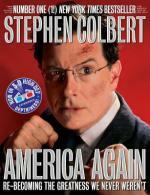 Stephen Colbert (of the Colbert Report on Comedy Central), TV's resident king of satire, is at it again in his second book that focuses on social issues and political banter. Colbert's witty, twisted sense of humor cuts deep to the heart of so many controversial and divisive issues in our American culture and I have found it to be therapeutic. No matter if you watch Colbert's show every night or have never heard of him in your life you would do good to give this book a shot. One thing I will guarantee, you will laugh. This book really helped me learn to laugh at myself. Christians (like myself) sometimes take themselves way too seriously and need to learn to simply lighten up and learn to live with more true joy in their hearts. Acuff puts an amazingly brilliant spin on so many things in Church culture like prayer circles, mega churches, and the vital role of swearing. In the middle of the laughs and chuckles this book will provide you will also be able to see some pretty unstated truths. The first of them is Acuff's premise .... God loves us and He made us to laugh! Ever since I was a little kid riding around with my dad in his 1995 beat up Geo Metro the Eagles have been a huge part of my life. They are literally the first band I remember when I look back on my life. My father taught me to appreciate their impact on modern music and Don Felder was a crucial component in that appreciation. This book gives a great, insightful look into one of the most influential music group of the 20th century. It's a winner through and through. has to be the perfect mix of imaginative art, deep storytelling, and above all fun! 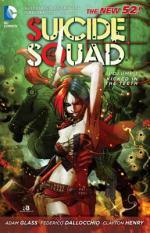 Suicide Squad does exactly that in the first volume of the DC New 52 reboot. If you're new to comics or a salty veteran get this book and be prepared to enjoy every second. "This is the book I want everyone to read. You probably know the movie, but this is probably THE greatest case for what film misses when it adapts the written word. You have to read the book to appreciate Gibbons' chops as a parodist, watching her savage the English "pastoral" novel with her melodramatic narrator Flora Poste and the immensely bonkers Starkadder clan. Published in 1932, this book mocks the self-help movement, the film industry, the British stiff upper lip, back-to-the-landers, televangelists (well, radio-vangelists I guess), and the sort of thing Downton Abbey is doing today - all of this in 1932! When I read this book for the first time, I couldn't believe I had missed out on something so funny, and so keenly modern, for so long. Please consider getting the Penguin edition with the Roz Chast illustrations! 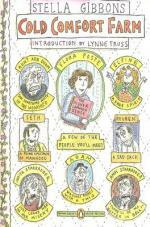 The only thing that could make this perfect book even better is Roz Chast's drawings on the cover, and the publisher was nice enough to make it happen." 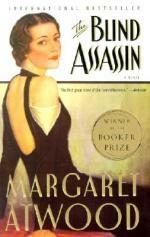 "I have loved Margaret Atwood's writing since I read "The Edible Woman" in high school. I don't think she needs much in the way of introduction or explanation, so I'll just say that this is, in my opinion, her best work. This book tells the story of two sisters from a well-off family, born near the beginning of the twentieth century: Iris becomes the perfect wife and mother, and Laura publishes a scandalous book before committing suicide. Or, at least, that's the official story. Atwood creates layers upon layers in the book, turning the very idea of conventional narrative on its head, not least by interpolating into the story the text of Laura's scandalous book. It's a fun and dizzying experience, and Atwood's incredible flair for storytelling leads the reader one way, only to yank you completely out of your assumptions at the next turn. It also cleverly combines many of Atwood's signature themes and styles: feminist history, industrialization and its effect on the planet, and Sci-Fi tropes, among others. It is, to me, signature Atwood." 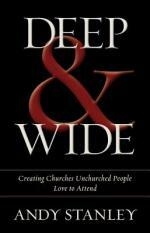 "This book was truly life-changing for me. It was the first time that I read something that even remotely captured the vibrant, hardscrabble life I had known growing up in the Philippines. 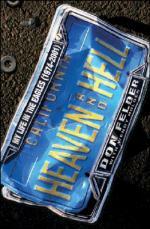 Famously, the New York Times review of the book offered the opinion that there was no way life in Manila approached the frenetic, pop-culture obsessed scenario Hagedorn documents. My well-reasoned response will always be: Ha! The main narrative focuses on Hagedorn's stand-in, Rio, who basically comes of age in a movie theater during the golden age of Filipino cinema. But as Rio's world widens beyond her childhood, it reaches a breaking point that forces her to leave her homeland for America. Her story is about that place and time to which we can never return, and Hagedorn's writing here is beyond beautiful. But Rio's narrative is also peppered with countless other stories, chronicling life in the Philippines during the tumultuous second half of the 20th century, under the "soft" colonization that remained after the U.S. officially withdrew. 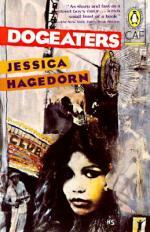 Dictator's wives and Communist painters, wannabe stars and depraved movie directors, oligarchs and junkies; these are just some of the characters that Hagedorn also uses to paint an unforgettable and essential record of a very particular time and a place." "It's probably no great surprise to hear that I love books not just for their stories and their words, but also as beautiful objects. 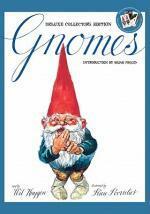 In a world where you hear "print is dead," on an almost daily basis, I really enjoy a book like Wil Huygen and Rien Poortvliet's "Gnomes." I have shown this book to so many, and no matter their age, I watch them fall in love immediately. The books tells you, through Huygen's wry "anthropological" notes and Poortvliet's amazing illustrations, about the world of the gnome. It's the sort of book that you pore over, not even realizing how long you've been examining the diagrams of gnome homes, or dreaming about the dark Nordic tales Huygen weaves throughout. For some of us, there's an undeniable nostalgic element (the cartoon "David the Gnome" used this book as its inspiration), but this book is breath-taking for any generation. P.S. The "deluxe" edition even comes with prints of some of the best-loved illustrations which you can take out and frame!" "There are many books that bear testament to the unjust internment of Japanese-Americans during the second World War, but I would love for more people to know about this one. 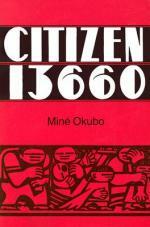 Mine Okubo was an artist who, in 1946, published her sketches and written vignettes of camp life under the title "Citizen 13660," the number assigned to her during her internment. The book was out of print until the 80s, when the University of Washington thankfully brought it back. The book captures small details, which I had never known, that show the confusing and maddening process whereby American citizens were stripped of their rights. Once in the camp, Okubo's sharp eye and expressive drawings really bring to life the indignity and petty abuses she and all internees suffered. But what will blow you away is the uncrushable spirit and creative cooperation these brave men and women showed in the camp, developing a supportive and even loving community at one of our country's darkest points." 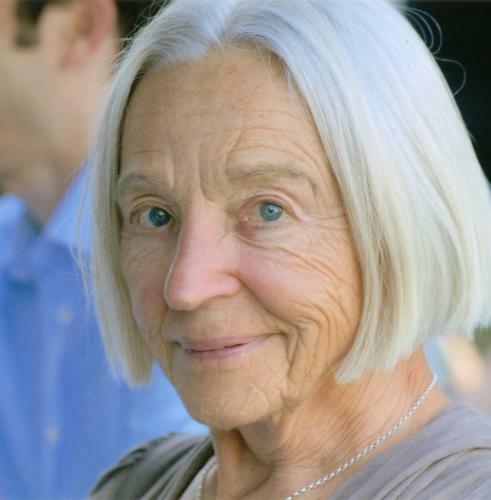 Inga Wiehl is a retired YVCC professor. 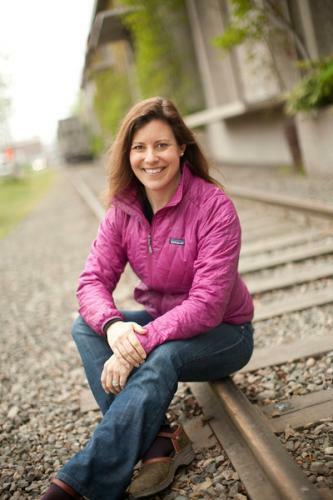 She holds a PhD in Comparative Literature from the University of Washington. 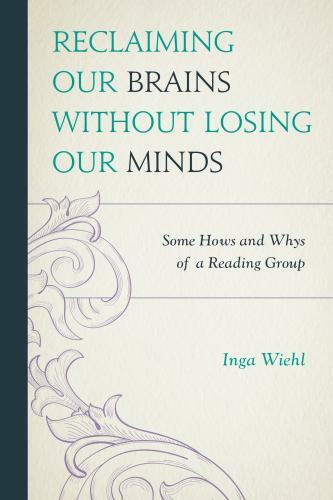 Reclaiming Our Brains Without Losing Our Minds relates the story of a group of women in Yakima who form a reading group in dedicated pursuit of "the best that has been thought and said" in literature. Over the course of twenty-nine years, the women hone their minds, exchange ideas, and discover a sense of closeness and community that extends beyond the page. Featuring detailed accounts of the recruitment process, strategies for meetings, and the methods of choosing the featured texts, this book is a vital tool for anyone interested in starting a reading group or rekindling a love of literature. 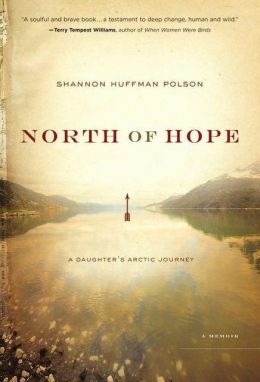 Inklings is proud to partner with Heritage University in bringing Shannon Huffman Polson, author of North of Hope: A Daughter's Arctic Journey, to Oak Hollow Gallery to speak about and sign copies of her book. "After her parents are killed in a rare grizzly attack, the author is forced into a wilderness of grief. Turning to loves she learned from her father, Polson explores the perilous terrain of grief through music, the natural world, and her faith. Her travels take her from the suburbs of Seattle to the concert hall where she sings Mozart's Requiem, and ultimately into the wilderness of Alaska's remote Arctic and of her heart. This deeply moving narrative is shot through with the human search for meaning in the face of tragedy. Polson's deep appreciation for the untamed and remote wilderness of the Alaskan Arctic moves her story effortlessly between adventure, natural history, and sacred pilgrimage, as much an internal journey as a literal one. Readers who appreciate music or adventure narratives and the natural world or who are looking for new ways to understand loss will find guidance, solace, and a companionable voice in this extraordinary debut." 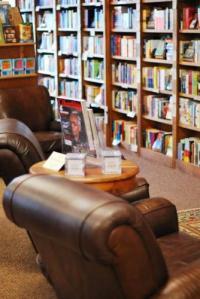 We are going to stop taking used books from November 1st through the middle of January. Thank you! Starting this book I wasn’t expecting to learn a history lesson. 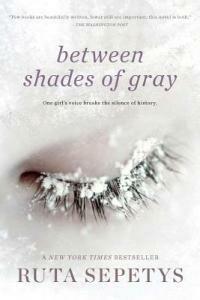 Between Shades of Gray is an amazing historical fiction book about a girl, her family, and her love of art. Lina is one of the most daring and heart strong characters I have encountered in a book in quite some time. This story takes place in the country of Lithuania, in the perfect area that anyone would want to live in. Ideal for walking, playing in the street and for Lina, drawing. Until one night it is all taken away. When reading I was confused whether or not this was based on the holocaust or not. There was no reference to Lina and her family being Jewish or had to wear a star on their clothes. I was surprised to learn that even though they were not Jewish Lina and her family had been forced from their home and put on cattle cars to be sold to slavery in Siberia. What is even more frightening is that in the midst of being take away she has no idea what has happened to her father. He wasn’t there when being sent out of their house and he isn’t there when they are being corralled onto the cattle cars. One thing is certain, she is not going to give up looking for her dad. Lina was once told by her father that he will always recognize her art work and she is determined to draw clues at to where she is going. This book portrays the strong will of a mother who finds ways no matter the circumstance to see the beauty and grace in the situation they are in. She along with Lina are the glue that holds so many people together. Through the extreme winters and diseases Lina has amazing courage to steal wood for fire, drawing portraits of officers for food and stealing rations from right under the NKVD nose. I could never imagine what it would have been like to be in the situation Lina and so many other had gone through. This book gives an amazing insight as to what happened under the Soviet rule. What I love most about this book is the amount of work that Ruta Sepetys (author) went through to write it. This book isn’t simply a fictional book about what might have happened during Soviet rule. But a book based on true stores of her family, friends and relatives that lived through the time of murder, imprisonment, deported in slavery. This is the best book I have read in the last two years! W.D. Frank will be speaking and signing copies of his new book, "Everyone to Skis! 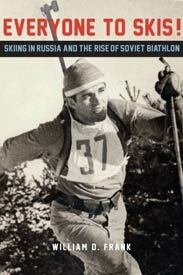 Skiing in Russia and the Rise of the Soviet Biathlon" at the Yakima Valley Museum on November 6th at 6pm. Nowhere in the world was the sport of biathlon, a combination of cross-country skiing and rifle marksmanship, taken more seriously than in the Soviet Union, and no other nation garnered greater success at international venues. From the introduction of modern biathlon in 1958 to the USSR's demise in 1991, athletes representing the Soviet Union won almost half of all possible medals awarded in world championship and Olympic competition. Biathletes of the USSR were so dominant that at major events their victory was often a foregone conclusion. Yet more than sheer technical skill created Soviet superiority in biathlon. The inherent characteristics of biathlon, which required stamina and precision in a quasi-military setting, dovetailed with important concepts promoted by the Soviet government. The sport also supplied an opportune platform for promoting the State's socialist viewpoint and military might. Biathlon, in other words, was about more than simply winning Olympic medals. Currently the most popular winter spectator sport in Europe, biathlon looms large in the history of global athletics, and in the event's early narrative the Soviet Union was its most important player. William D. Frank, a former nationally-ranked competitor and a scholar of Russian history, is in a unique position to tell this story. His highly readable book is the first in-depth look at how the Soviet government interpreted the sport of skiing as a cultural, ideological, and political tool throughout the course of seven decades. William D. Frank earned his PhD in History at the University of Washington. He competed in the United States Biathlon Team Selection Trials for the 1980 Winter Olympic Games in Lake Placid, New York and the 1981 Biathlon World Championships in Lahti, Finland, the United States Biathlon Qualification Race Series for the 1984 Winter Olympic Games in Sarajevo, Yugoslavia, the United States Biathlon National Championships of 1979 and 1981, and the United States National Cross-Country Championships of 1985. 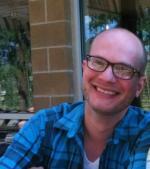 He is an occasional lecturer in History and Humanities at Central Washington University. 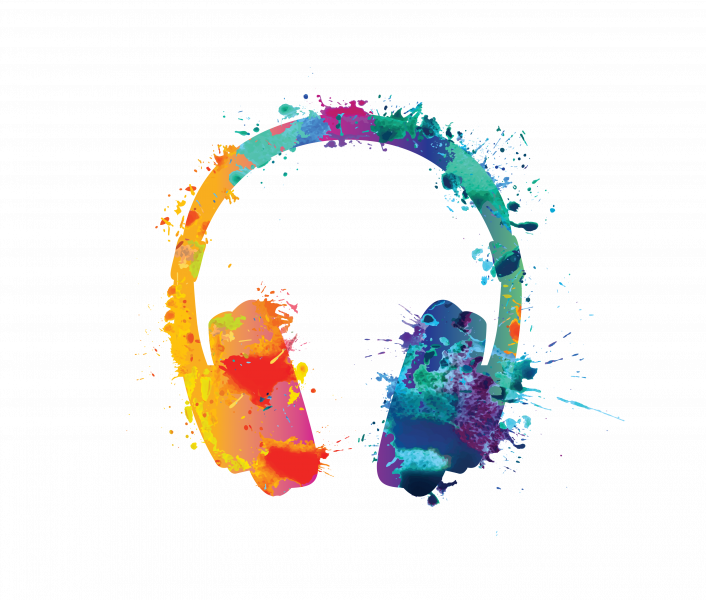 Read more about Inklings 13th Anniversary! 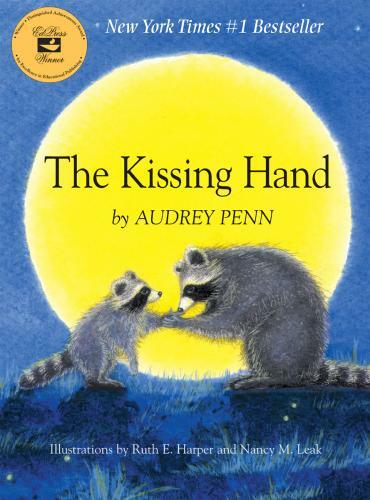 Audrey Penn's beloved classic "The Kissing Hand" is turning 20, and we're celebrating with a birthday party for Chester Raccoon! Join us for games, songs, treats and a special visit from Chester himself!